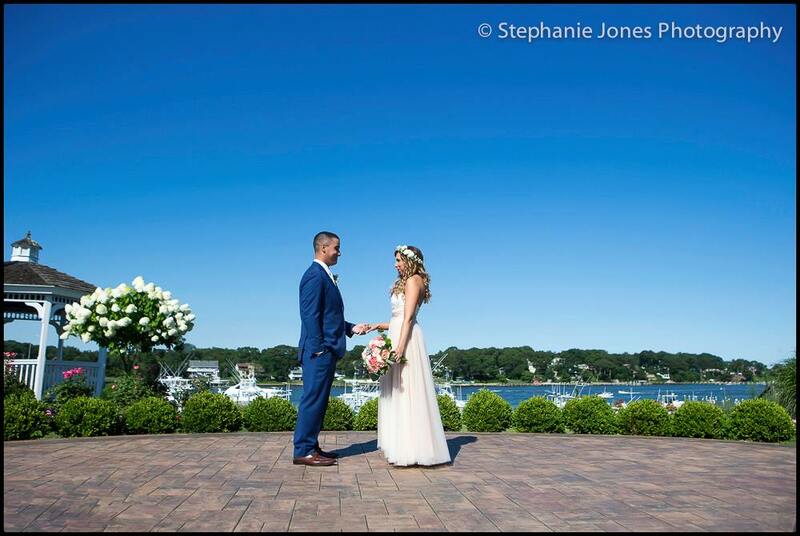 Sunday Night I had the pleasure of working with Michele and Sam as they got married at The Crystal Point in Point Pleasant and then threw an awesome celebration for their family and friends. I got to work with one of my favorite photographers, Stephanie Jones. 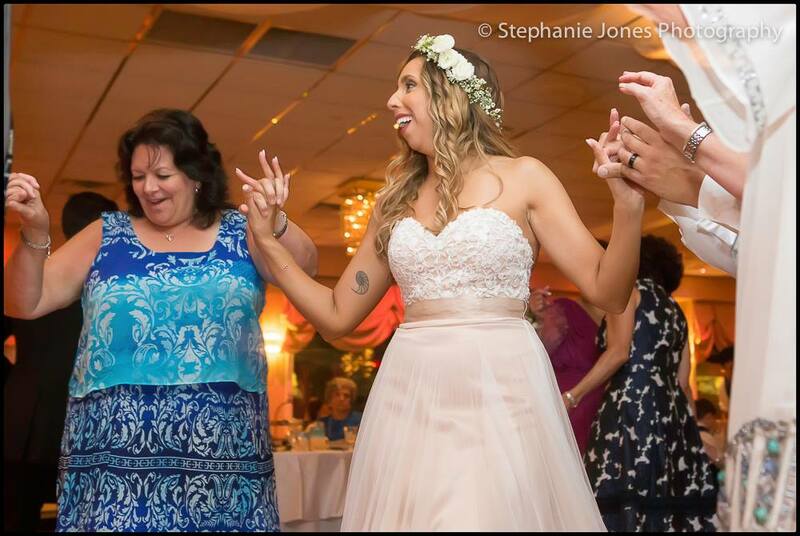 Stephanie and I have worked many weddings together through the years and I always enjoy her laid back style. She gets amazing images at every wedding but she does so in a very cool, calm and collected way which is not always the case with some photographers. But I have to believe that her approach helps take some of the stress out of the day for her clients. I certainly felt it on Sunday and looking at Stephanie’s images it’s obvious as well. Stephanie was nice enough let me use a few of her pictures in this blog. If you’d like to see even more head to the album she uploaded to Facebook by clicking here. 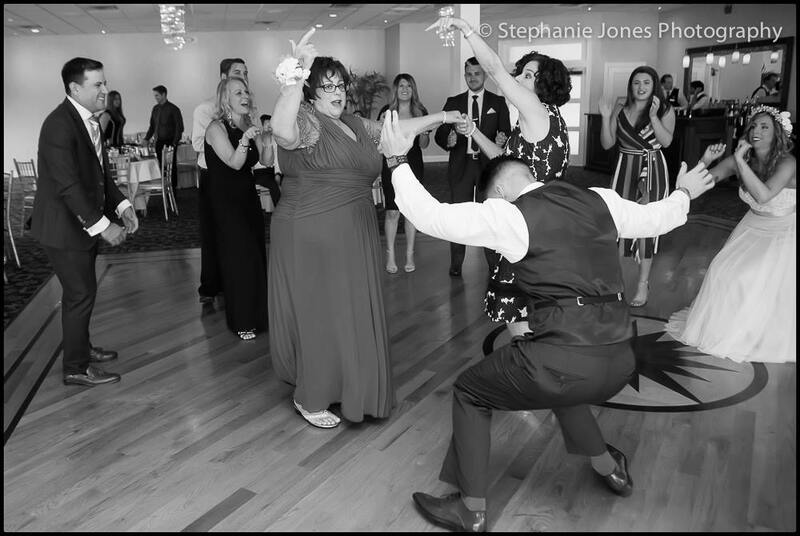 Any DJ knows a Sunday night wedding can fizzle early as guests start thinking about getting up early to start their work week but I can report that this didn’t happen for Michele and Sam. After we cut the cake I knew it was all going to fall to me and my assistant Andrew to keep the party thumping for the last hour and we did it! At 11:00 when I hit play on “With A Little Help From My Friends” by Joe Cocker, which Michele and Sam had selected as their grand finale, I can honestly say most of their guests were still in the room and happily packed around Michele and Sam for the big ending.